Abstract: Primary Ewing sarcoma/primitive neuroectodermal tumor (ES/PNET) of the kidney represents a spectrum of rare neoplasm with dismal clinical prognosis. This type of malignant tumor predominantly occurs in the soft tissue and bones of pediatric–young adults, and it may rarely arise from the kidney. Derived from the neuroectoderm, renal ES/PNET belongs to a group of primitive and aggressive tumors in its biological manifestation. Herein, we report the case of a 40-year-old pregnant woman with renal mass, in whom was found gross hematuria and slight lumbar acid during pregnancy. A computed tomography scan revealed an irregular soft tissue mass approximately 5×5×5 cm in size. 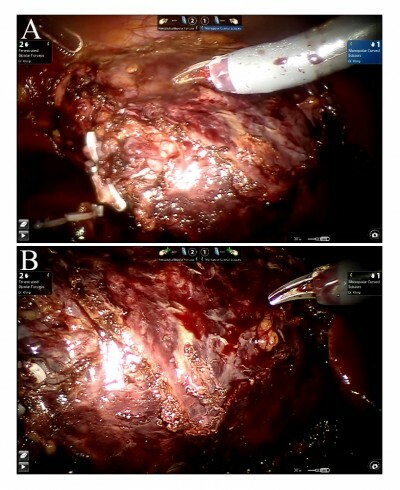 The patient underwent robot-assisted laparoscopic nephrectomy of the right kidney after childbirth. The diagnosis of renal ES/PNET was confirmed by immunohistochemical detection and fluorescence in situ hybridization of the nephrectomy specimen. Primary renal ES/PNET represents a rare and lethal entity, especially in a 40-year-old pregnant woman. Although the clinical presentation of this tumor is nonspecific, renal ES/PNET frequently exert dismal prognosis and aggressive clinical outcomes. Thus, it is essential to distinguish ES/PNET from other renal cell carcinomas and carry out an optimum treatment strategy as soon as possible.